Lucifer was formed in 1972. Following their appearance in the English TV programme, "Opportunity Knocks", as well as numerous gigs on the Holland-America cruise line ships, and also gigs in almost all corners of Holland, they finally got around to recording their debut single in 1973, entitled, "Open Book". It was not met with any acclaim. However, the next single "House For Sale", produced by Hans Vermeulen, was luckier than its predecessor. This Sklerov-Lloyd composition became the first in the chain of hits produced and arranged by Hans Vermeulen, including songs such as "Scarlet Lady", and "I Can See The Sun In Late December". Both songs were included on the gold record, "As We Are" (EMI '75). In 1976, a conflict arose between EMI-Bovema and Vermeulen. Vermeulen wished to only record at the Rainbow studio in The Hague, while EMI wanted him to use the Intertone studio. This meant the end of Vermeulen's collaboration with Lucifer, since the band chose to side with the record company. Early in 1977, drummer Henny Huisman, percussionist Julio Wilson and guitarist Job Netten were replaced by guitarist Fred Berger and drummer Jan Pijnenburg (both coming from the "Otger Dice Band"). With the new line-up secured, a new single, "Self Pity", was released, composed by Margriet Eshuijs. The next album, "Margriet" (EMI '77), was a bit of a disappointment for the fans, as it was a step in the direction of the then-popular commercial MOR jazz-pop. 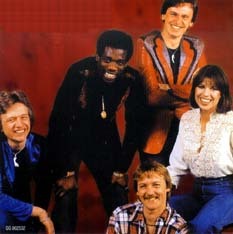 Match spin-off of Lucifer, founded in 1977 in Alkmaar. Initial line-up: Henny Huisman (dr, ex-Lucifer, to Lobster), Julio Wilson (v, perc, ex-Lucifer, to Lobster), Job Netten (v, g, ex-Lucifer), Jaap de Wit (g, ex-Uzi, in 1977 to Lucifer) and Ben Vermeulen (o, p, ex-Maggie MacNeal, to Lobster). In 1978, a new line-up followed, which was also known for a short while as Matchmaker: Job, Marika Dьster from Chechoslovakia (v), Bulent Lyimen (dr), Gerard Biersteker (v, b, ex-Human and Nix) and Ad Wagemaker (o, p, ex-Lights, to Flying Dutchmen). In 1980, the line-up changed to: Job, Gerard, Auke Bremer (o, p, ex-Pinguin and Nix), Hans Tonkes (v, g, ex-Hobo Stringband), Marja Floris (v, ex-Sesam, to Howling Hurricane) and Andries Eleveld (dr, ex-Black Flame). In 1982 Auke, Gerard and Andries formed News together with Gert-Jan Roossier (g, ex-Red Point) and Rosanna Hofman (v). They were also in the sessiongroup Age together with Henk Haanraads (g, ex-Shoreline). With Henk's arrival, the line-up of Match was completely revised and featured: Job, Henk Haanraads (g), Barbara Jones (v), Yolanda Siffels (v, ex-Taxfree), Ben Vermeulen (o, p, ex-Album, back to Album), Sam Molittaya (b) and Koos Blaauw (dr, ex-Spryng).